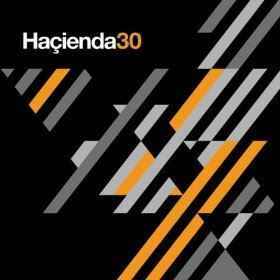 Mix album marking the 30th anniversary of the legendary UK nightclub, The Hacienda. The 30th birthday celebrations were held in the car-park of The Hacienda Apartments on the site of the former club. Packaged in four-part (8-panel) card sleeve, with three sleeves holding discs and one holding the booklet which has sixteen pages of flyers, quotes about the 30th birthday, biogs of the three DJs and thanks.